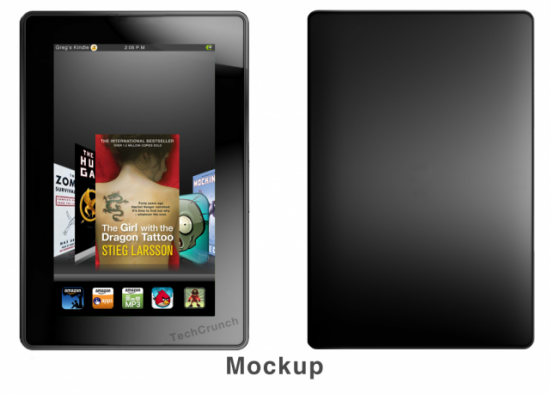 Kindle Fire to Be Succeeded by More Enticing Amazon Tablet in Early 2012? Amazon is set to announce their first Android tablet tomorrow, but if new rumors have any veracity to them the retail giant already has their sites set on what comes next. When whispers of an Android-powered slate from Amazon first popped up, all reports pointed towards the release of two tablets. It was then learned that the second tablet was being held off until Amazon could gauge the reception of what is now known as the Kindle Fire, but according to gdgt the more powerful device is on track for a Q1 release in 2012. 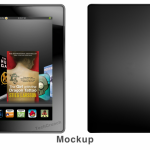 The Kindle Fire could merely be a holiday placeholder that will help Amazon compete head-to-head with the second Nook Color and other tablets, while the next-gen device is supposedly the slate the online retailer will truly put their weight behind. Whether or not that turns out to be true, we will be learning all we need to know about the Kindle Fire tomorrow, where the question of whether or not we have a true iPad competitor on our hands will be answered. 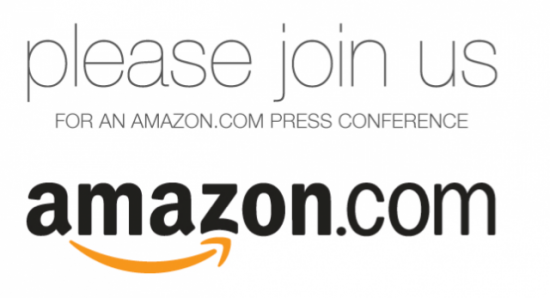 Amazon Plans for Press Event Sept. 28th – Possible Android Tablet? 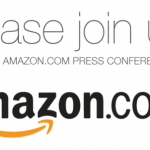 Amazon has been busy sending out press invites to all the major tech sites announcing a press conference for Sept 28th to be held in New York City. While there was no details given in the press invite, you can bet your money we’ll most likely see the unveiling of their Android tablet running a customized Android 2.3. Hats off to Android modder Martin Drashkov for knocking up this 23-inch Android tablet monster in his kitchen. Sure, it's a bit pixelated and it looks a tincy bit laggy - but at less than ?400 for off-the-shelf components to create a fully functional gigantic tablet, we applaud him. It wouldn't fit in your pocket, or even your bag - but imagine a fully working 23-inch Xoom or Galaxy Tab sitting on your coffee table or hanging from your wall. Awesomeness, we're sure you'll agree. "The Android MegaPad is then the next logical step - a modern touch-based computing device with a screen size that will enable a whole different set of experiences," explained Drashkov. "Unlike tablets, devices like this will make simultaneous use by two users a practicality and will let users more fully immerse themselves in apps and games. 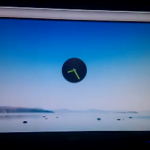 ?In the demo video, you can see two apps that, while written for phones and tablets, nevertheless demonstrate the usefulness of such a device." Drashkov is promising to release the technical details of his monster tab soon. We hope Samsung, Motorola and the gang are paying attention. This is an interesting story. The folks at Notion Ink have mentioned that their before-its-time Android tablet, the Adam, will be receiving Ice Cream Sandwich come November. This is especially interesting considering they spent so much time customizing Android specifically for their tablet. The underlying story here, though, is that apparently Ice Cream Sandwich will be ready to go late next month.This isn’t the first time we’ve heard that rumor but we do feel a bit better knowing that an OEM has mentioned the same. That’s unless he (Notion Ink’s CEO) happens to be going based on rumors himself, of course. While we’re not too entirely sold on Notion Ink’s own timeline just yet, we can’t imagine they don’t have at least a bit of inside information. Panasonic is expanding the Toughbook range to include a 10.1-inch Android tablet and we managed to spend some time with the new device at the launch at DSEi in London. The Panasonic Toughbook was labelled as FZ-A1 on the front, something that wasn’t marked on the publicity shots we saw previously. This is an engineering sample, with the Panasonic agent on the stand telling us that the tablet was still being hand built, so we can’t judge final quality from what we see here. However, it does feel solid in the hand. It’s chunky, but you’d expect it to be so, with enlarged rubberised corners. We didn’t have a set of scales or a measure to bring you the specs - Panasonic are still keeping schtum about the exact details. However, we’d guess it is about 15mm thick or so, but it does feel nice and secure in the hand. The plastics used to make up the bezel and the back have a matte and slightly tactile feel to them, meaning good grip, something that will be important for the target market of this device. The display offers you 10.1-inches of capacitive screen coated in an anti-reflective layer. It did find itself getting smeary from our greasy fingertips, but it is bright, designed to remain visible outdoors. It offers up a resolution of 1024 x 768. 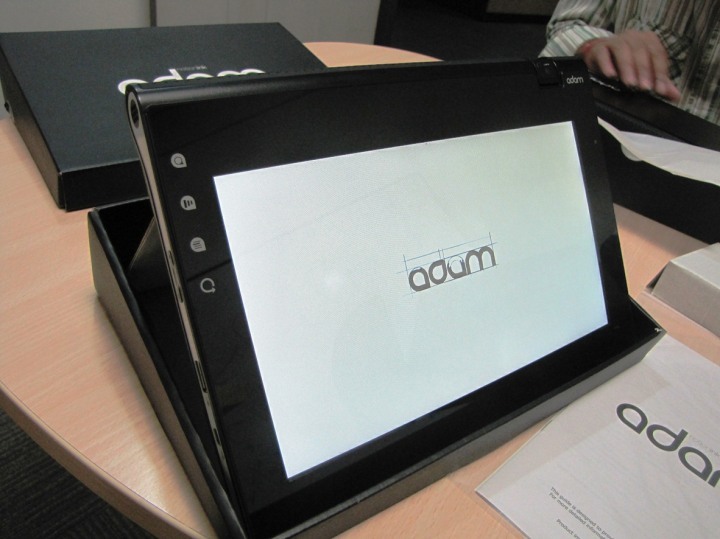 Adding to the input options, there is a magnetic capacitive pen that clips into the rear or the tough tablet, so you’ll be able to write or annotate on the display, with a single button for clicking. We gave it a try and it worked well enough, but we’re guessing that those who purchase the tablet in bulk will have specific applications that use the pen in mind. The control buttons across the front offer the standard menu, back and home, along with a customisable USER button which can (in the final version) be set to launch any application you want. The power button is also on the front, which is more useful than around the side or back if you are mounting the tablet in a vehicle, for example. Front and rear cameras are in place, with an LED flash on the rear. In terms of ports and connectivity, you’ll find a secured hatch which slides away to reveal micro connections - HDMI, USB and SD - along with a standard 3.5mm headphone jack. There is a SIM card slot hiding under another hatch and the DC power input is also covered. Despite the tablet size the sample we saw was running Gingerbread rather than Honeycomb so the whole thing looked pretty bare. We’re not sure if it will remain like this, or if it will come with the full suite of Google applications. As this isn’t aimed at consumers, it probably won’t be a problem. 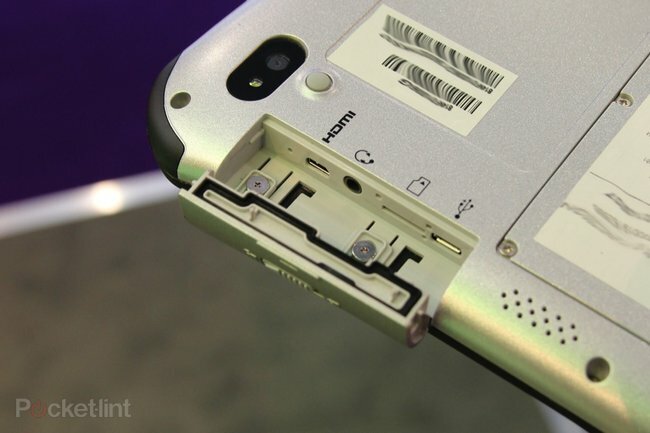 On the exterior there are also contacts for a dock connector, with Panasonic saying there will be a run of accessories to support their new Android Toughbook. We’re still a little light on the tech specs and final pricing, but Panasonic seemed confident that they’d be selling plenty of these to those working out in wild places.? Git Media is hoping to enter the Android tablet race strong with the introduction of two new tablets, the NVIDIA Tegra 2-packing Surge and Samsung Exynos 4210-rocking Pro. Other than their top-class dual-core CPUs, the two device do not differ greatly. Both feature 16:9 widescreen 10.1-inch displays at 1280×768 pixels, 1GB of RAM, and a massive 250GB Seagate HDD. Also making the spec sheet are 5MP and 2MP cameras on the rear and front respectively, built-in speaker and 3.5mm headphone jack, and ports for USB, microSD, and miniUSB. Both the Git Surge and the Git Pro are available now for pre-order through the company’s website for a rather reasonable $479.99. They are even throwing in your choice of a leather case and wireless keyboard or a 3-year warranty with your reservation. The offer runs through the 15th of October. With Amazon and Chinese Alibaba e-commerce website getting ready to release their own tablets, it’s only a matter of time till any company with over 10k employees and online involvement will start dreaming of its slate. This is also the case of the game retailer Gamestop, that will release a gaming tablet based on Android next year. We must mention that Gamestop has been losing market share because of the popularity of mobile games on handsets and tablets. Founded in 1984, the company had 6,450 locations in 2009 and served titles worldwide, but business isn’t going so well now with all the mobile gales out there. Tony Bartel, Gamestop president recently explained to GamesIndustry that the sale and distribution of an Android tablet with gaming capabilities is looked into. There will also be a special controller for this device, reminding me of HTC’s initiative to turn tablets into gaming gadgets. Gamestop also promised its very own mobile apps and full retail releases from its own catalog. 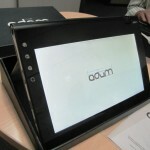 I sure hope that this idea doesn’t get stuck in prototype phase, as it would be nice to have a gaming tablet out there. 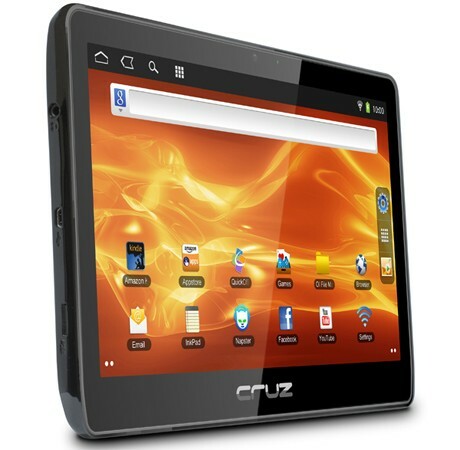 Velocity Micro has intro’d yet another Android tablet, the Cruz T410. 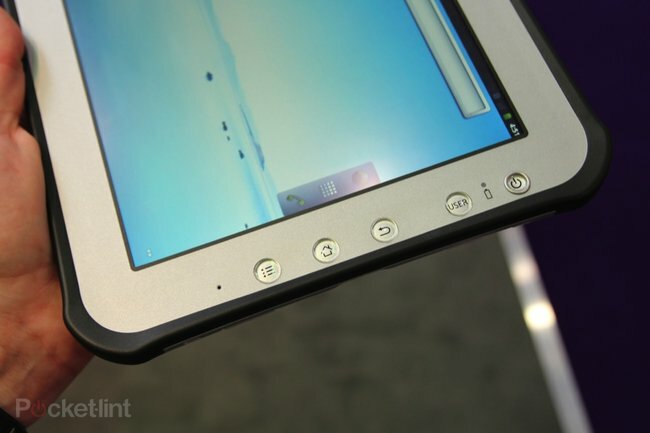 The 10-inch slate joins the recently announced 8-inch T408 and rocks similar specs, including a 1GHz Cortex A8 CPU and Android 2.3. It also scores a front-facing camera, bundled apps including Amazon Kindle and Angry Birds Rio, and access to the Amazon App Store. Velocity Micro has attempted to make a name for itself in the past by offering budget Android tablet alternatives, but with a $299.99 price tag the T410 might start to edge a bit close to similarly priced tablets of a higher quality and spec sheet. The T408 might be a bit more appealing with its $239.99 price. 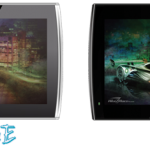 RICHMOND, VA – September 7, 2011 – Velocity Micro, the premier builder of award winning enthusiast desktops, laptops, peripherals, and the remarkable Cruz tablet, announces the availability of two new Android tablets – the 8″ Cruz T408 and the 10″ Cruz T410. Designed by Velocity Micro’s team of world class engineers to emphasize speed, content, style, and value, these newly announced Cruzes provide all of the features consumers are craving while still hitting an attractive pricepoint, making them the perfect devices to tap into a new market of value conscious shopper. The T408 and T410 will retail at $239.99 and $299.99 respectively. The 4:3 aspect ratio 8″ Velocity Micro Cruz T408 is thin and lightweight, the perfect size for on the go users unwilling to sacrifice on power or functionality. At just $239.99, it’s the first 8-inch tablet to offer a premier customer experience at a mainstream value. Featuring a lustrous design with smooth, clean lines and thin bezels for a sleek appearance, the 16:9 ratio 10″ Velocity Micro Cruz T410 has all the look and feel of a premium Android tablet but at $299.99, comes at almost half the price. India is a market that’s recently been invaded by all sorts of devices, tablets included. Most of them are affordable and some of them are really worth our attention. Among the newcomers we find the $200 slate Mercury mTab, the creation of a leading computer peripherals maker. This is the company’s first Android tablet and it comes with a triple core processor, that’s pretty stunning as far as hardware goes, unless it’s a spelling mistake. This mTab is a 7 inch model with Android 2.3 Gingerbread, 512MB of RAM and 4GB of internal memory. The triple core CPU has a frequency of 1.2GHz, making it a very impressive rival for other models with a mere 800 MHz in CPU. The $200 mTab will be available with a 1 year warranty, so all of you folks in India hurry now and buy one! Will this model also see the light of day on other continents?